Employee Ownership Insight (EOI) is an independent think tank working to increase awareness and knowledge of employee ownership in the UK. EOI works alongside the Employee Ownership Association, the national membership body which speaks for the UK’s £30 billion employee owned business sector. EOI is politically impartial, independent of the EOA and has charitable status. To establish EOI as a self-financing and independently operating think tank for the employee owned sector, a leading thinker and contributor in the policy debate, conducting and publishing research, guidance and information, and promoting employee ownership and employee engagement as an economic and social enabler. Initially, the work of EOI aims to build on the report The Ownership Dividend – the economic case for employee ownership which published in June 2018 and features the evidence, findings and recommendations of the year-long Ownership Effect Inquiry. Led by the EOA, in partnership with John Lewis Partnership, The eaga Trust and the academic support of CASS Business School and Manchester Business School, the inquiry was one of the most comprehensive studies of employee ownership in the UK. More than 100 employee owned businesses (EOBs) and those who advise them gave evidence to an independent business-led panel of representatives from Britain’s leading business and professional organisations at 7 hearings across the UK. Ann Tyler is Chair of Employee Ownership Insight. A Cambridge graduate and qualified solicitor, she has over 30 years’ experience of legal and policy advice, and consulting work, in the field of employee ownership. She advised on employee ownership schemes in a wide variety or public and private companies, setting up the first ESOP in the UK, in Roadchef Limited. She implemented employee trusts on privatisation of the bus, air, electricity and coal industries, and worked with a number of trades unions as well as the trade union owned bank, Unity Trust. She was a founder member of Capital Strategies Limited and a Trustee of the Baxi Partnership Trust for 10 years to 2010. From 2001 – 2013 acted as Executive Director and Company Secretary of the Employee Ownership Association, during its transition from a small lobbying group to successful membership organisation. She took a private members’ bill through Parliament in 2002 to improve the tax regime for employee ownership and set up the APPG on Employee Ownership. Recently, she has contributed to the Nuttall Review, sat on the BIS Stakeholder Advisory Group, led a working group on the proposed establishment of a new Institute for Mutual and Employee Owned Business, organised the first Robert Oakeshott Memorial Lecture delivered by Sir Nick Clegg when he was deputy Prime Minister, reviewed the Labour Party’s policy on Employee Ownership as part of the Hunt Review on Mutuals and organised a UK employee ownership study tour for a group of lawyers and politicians from the Basque Country. She advised Grant Thornton on their ‘Shared Enterprise’ scheme, was employee ownership consultant with Lewis Silkin LLP, and is currently an associate of Mutuo and a trustee of Voice at Be Caring. 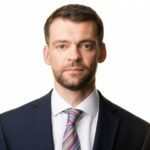 Clayton Hirst is Group Head of Corporate Affairs at the John Lewis Partnership, the UK’s largest employee owned business which comprises Waitrose & Partners and John Lewis & Partners. Clayton joined the Partnership from Virgin Media where he was Director of External Communications. Before that he was Director of Communications at Ofcom, the communications regulator. He spent the early part of his career in journalism, latterly as Deputy Business Editor on the Independent on Sunday. Campbell is one of the UK’s leading employee ownership (EO) practitioners and a specialist in organisational transformation. 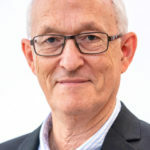 Campbell spent two years working as a consultant to the John Lewis Partnership, before leading the creation of a nationally-recognised management consultancy (Baxendale), in an EO model, specialising in supporting the creation and growth of mutual and EO businesses. Campbell has supported the performance of Boards, Directors, Trustees and employee councils at dozens of EO businesses, from SMEs to larger firms. Campbell was a Cabinet Office-appointed mentor to the Government’s first wave of public service mutual and led on the creation of multiple new EO social businesses – including Whitehall’s largest mutual joint venture, the £50m disability employment services provider Remploy. Campbell now operates as an independent consultant and expert on building thriving EO workforce cultures and effective governance mechanisms. Campbell is the Chair of the Board of EOT Trustees at the global architecture firm Broadway Malyan, and through his writing and public speaking continues to be a powerful advocate on behalf of the employee owned sector. 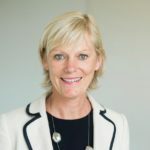 Deb Oxley OBE is the CEO of the Employee Ownership Association (EOA), the UKs leading voice on employee ownership, representing a sector that contributes between £30-40bn a year to UK GDP as well as a membership organisation for UK businesses of private or public sector origin, that are wholly or partially owned by their employees. 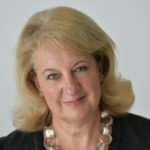 Deb has over 30 year’s business experience across private and public sectors and latterly after founding and running her own small business for 10 years, joined the EOA in 2012, becoming Chief Executive in 2015. Having recently led a national inquiry into the economic and social effects of employee ownership, Deb is now leading a programme of work to realise the recommendations of the inquiry findings, the Ownership Dividend. As part of her role at the EOA, Deb also chairs the Employee Ownership Sector Group, is a member of the Government Mutuals Advisory Group, a Commissioner on the Grant Thornton Vibrant Economy and a member of the Managing Partners Forum (MPF). In 2018 Deb was awarded an OBE for her services to employee ownership and social enterprise. In 2006 Jo was instrumental in establishing the first social enterprise to come out of the NHS in England; she led CSH Surrey for eleven years tripling its size. This paved the way for a national strategy encouraging the development of social businesses and employee ownership. 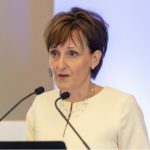 In 2011 Jo was invited by the then Secretary of State for the Cabinet Office to join the Mutuals’ Taskforce to create opportunities for employee ownership within the public sector. Appointed as a Commissioner on the Prime Minister’s Nursing and Midwifery Commission in 2010, the following year she was awarded an MBE for services to social enterprise. In 2017 Jo was honoured with the Employee Ownership Association’s Philip Baxendale Fellowship award and was made an Honorary Fellow of Social Enterprise UK. Jo is an independent consultant with a particular interest in supporting employee owned health and social care social enterprises. She is an Honorary Professor at the University of Surrey. Malcolm is a partner at Wrigleys and head of the Charity and Social Economy Team. He is a charity commercial lawyer and was an executive committee member of the Charity Law Association until June 2013. He qualified in 1983 and has been advising on the legal, trust and tax aspects of employee ownership since 1987. Malcolm advises a wide range of local, national and international charities on charity law and relations with the Charity Commission, charity trading, commercial contracts, public procurement, legal structures, social investment, social enterprise, mergers and governance. He is known for his lateral thinking and innovative approach to clients' problems. He is recognised by the National Legal Directories, Legal 500 and Chambers & Partners, as an expert in Charity Law. He is a trustee of Leeds Youth Opera and Chairman of Business and Enterprise Finance Limited. 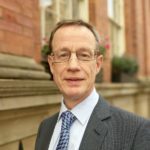 Patrick Burns is a board member of the Employee Ownership Association and was its chief executive from 2004-11, transforming it from a campaign group into the acknowledged voice of the UK’s £30 billion employee ownership sector. Patrick’s role with EOI is supported by social investor the eaga Trust, principal sponsor of EOA’s year-long business led Ownership Effect Inquiry which culminated in publication of the Ownership Dividend report in June 2018. Patrick is a winner of the Philip Baxendale Fellowship Award for outstanding contribution to the growth of employee ownership in the UK. He chairs the Trust Board of financial planners Paradigm Norton; recent roles have included board membership of the eaga Trust, chairing the shareholder council of employee owned Be Caring, and advising public sector bodies as director of mutuals development with Prospects Group from 2012-17, including acting as one of the Coalition Government’s mutuals ambassadors. 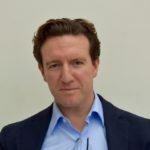 He has previously held roles as policy director of The Work Foundation think tank, as a management journalist and an economic adviser with the TUC. He is a Visiting Fellow of the University of Kingston Business School. Political and business interest in Employee Ownership is growing. The sector itself is already bigger than aerospace or agriculture and expanding rapidly as more companies and business owners become aware of the positive impact of Employee Ownership on productivity, performance and employee engagement. EOI welcomes interest from companies, charitable bodies, academic institutions, individuals and other organisations considering sponsorship of new policy thinking, advice and guidance, or research, on all aspects of Employee Ownership.